Safely cleans eye protection gear and glasses. For glass and polycarbonate lenses. 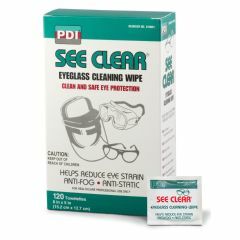 AllegroMedical.com presents The Eye Glass Wipes. Safely cleans eye protection gear and glasses. For glass and polycarbonate lenses. Quick drying, anti-static/anti-fog formula. Does not scratch lenses.